Objective assessment of intraoperative technical skill is necessary for technology to improve patient care through surgical training. 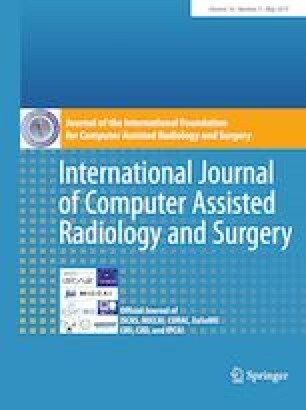 Our objective in this study was to develop and validate deep learning techniques for technical skill assessment using videos of the surgical field. We used a data set of 99 videos of capsulorhexis, a critical step in cataract surgery. One expert surgeon annotated each video for technical skill using a standard structured rating scale, the International Council of Ophthalmology’s Ophthalmology Surgical Competency Assessment Rubric:phacoemulsification (ICO-OSCAR:phaco). Using two capsulorhexis indices in this scale (commencement of flap and follow-through, formation and completion), we specified an expert performance when at least one of the indices was 5 and the other index was at least 4, and novice otherwise. In addition, we used scores for capsulorhexis commencement and capsulorhexis formation as separate ground truths (Likert scale of 2 to 5; analyzed as 2/3, 4 and 5). We crowdsourced annotations of instrument tips. We separately modeled instrument trajectories and optical flow using temporal convolutional neural networks to predict a skill class (expert/novice) and score on each item for capsulorhexis in ICO-OSCAR:phaco. We evaluated the algorithms in a five-fold cross-validation and computed accuracy and area under the receiver operating characteristics curve (AUC). The accuracy and AUC were 0.848 and 0.863 for instrument tip velocities, and 0.634 and 0.803 for optical flow fields, respectively. Deep neural networks effectively model surgical technical skill in capsulorhexis given structured representation of intraoperative data such as optical flow fields extracted from video or crowdsourced tool localization information. Shameema Sikder and S. Swaroop Vedula have contributed equally to this work. Dr. Anand Malpani advised on crowdsourcing for annotation of instruments, and Adit Murali supported on cleaning the data. This study was supported by funds from the Wilmer Eye Institute Pooled Professor’s Fund (PI: Dr. Sikder), an unrestricted research Grant to the Wilmer Eye Institute from Research to Prevent Blindness, and a research Grant from The Mitchell Jr. Trust (PI: Dr. Sikder).